Written by Graham Stone and published by the Reading Bus Preservation Group in autumn 1994, this 32-page A5 booklet serves two purposes. 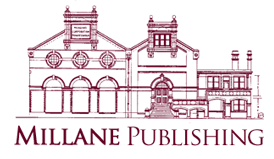 Firstly, it is an illustrated fleet list describing and illustrating every vehicle type in both Reading and Newbury as at October 1994. 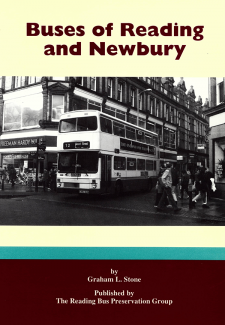 Secondly, it tells the story of public transport in Reading from the mid-1970s to the mid-1990s, describing how the undertaking grew in a few short years from a medium-sized municipal operator to one of the largest and most successful bus companies in Britain. At the time it was published bus operations in both Reading and Newbury by The Bee Line had recently been taken over and while the Reading operations were absorbed into the Reading Buses network, the Newbury operations became Newbury Buses, a separate newly-created entity, with its own attractive version of the recently introduced Reading Buses livery. A great deal has changed in the past twenty years, not only the vehicles, naturally, but a whole host of changes to bus operation in Reading and Newbury. Fortunately, some unsold stock of this book, which originally retailed at £3.50 per copy, has come to light and copies are now offered at a heavily discounted price, for they are an available reference to local passenger transport history. In due course that history will be re-told and updated – but that will be some time away. Meanwhile, we invite you to take your chance while it is there!